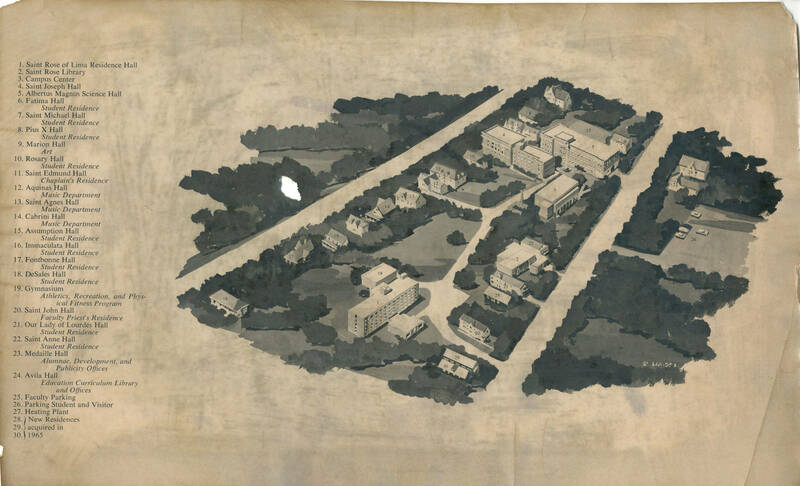 Did you know that part of the Archives Digital Collection is home to campus maps from the past? Fifty years ago there was no Lally School of Education Building or Massry Center for the Arts. 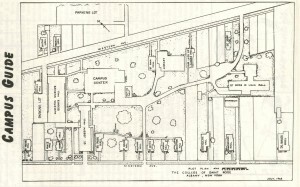 Shown on the map above are 25 buildings the College owned in 1963. Today Saint Rose consists of 81 buildings across 33 acres. 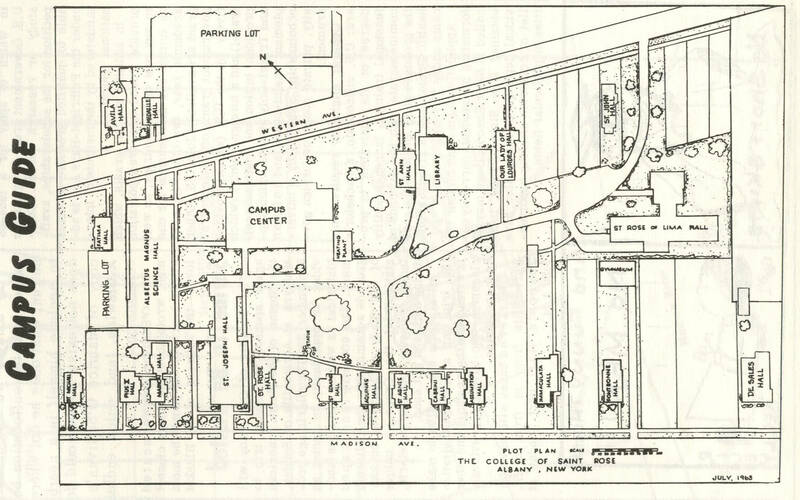 In 1963 Saint Rose was still a Catholic college and the majority of the buildings on campus were named in honor of saints. When the school became non-denominational the names of buildings were changed to reflect the new direction of the College. Some buildings were called by their physical address and others were named in honor of educators and other important members of the Saint Rose community. What today is known as Moran Hall (979 Madison Avenue) was called St. Rose Hall in 1963. In 1970 the name changed to honor the founding sister and much loved English professor, Sister John Joseph Moran. 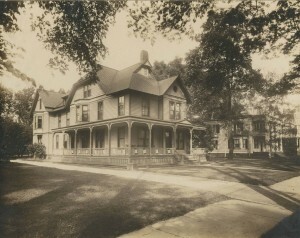 Moran Hall was the first building purchased by the College and at one time was the entire college. The first building housed students and faculty, provided a space for classrooms, a chapel and the library. Today Moran Hall is home to the Alumni Relations office and faculty offices for History and Political Science professors. To learn more about your house, dorm or favorite building on campus, check on the online Building Histories exhibit. Over the years the Saint Rose campus has changed. Last year Centennial Hall and The Huether School of Business were added to the mix. The above 1965 map shows a bird’s eye view of the college grounds and the immense possibility for expansion. I love how this map lists the buildings and how they were used. Click on the picture for a closer look. Who knows if someday one of the buildings on campus will be named after you!